Japanese electrical engineering company Yokogawa has released firmware updates for its STARDOM controllers to address a critical vulnerability that can be exploited remotely to take control of the device. Yokogawa’s STARDOM FCJ, FCN-100, FCN-RTU and FCN-500 controllers running firmware version R4.02 or earlier have a hardcoded username and password that can be used by an attacker with access to the network to log in to the device and execute system commands. The flaw is tracked as CVE-2018-10592 and it has been rated critical by both ICS-CERT and Yokogawa itself. The issue was discovered by VDLab, an industrial cybersecurity lab set up by Chinese companies Venustech and Dongfang Electric. The vendor patched the vulnerability with the release of version R4.10. Customers have been advised to update the firmware on their devices and also implement overall security measures to protect their systems. 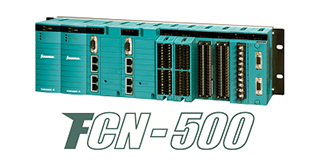 The FCN-500 product has been designed for high reliability and speed, and it includes features designed to ensure that processes are not interrupted even if a module is replaced. The FCN-RTU model is designed for inhospitable locations where low power consumption is needed. The products are used worldwide in the energy, critical manufacturing, and food and agriculture sectors. The FCJ and FCN-100 models were discontinued in mid-2016. Yokogawa has published a total of four security advisories this year. One published in January warns customers that CENTUM and Exaopc products are affected by a vulnerability that allows a local attacker to trigger false system and process alarms, and prevent alarm notifications from being displayed to the user. An advisory from late April describes authentication bypass and denial-of-service (DoS) flaws affecting Vnet/IP switches. The company has also alerted customers to the risks introduced by the use of the Intel Management Engine, which has several potentially serious vulnerabilities.